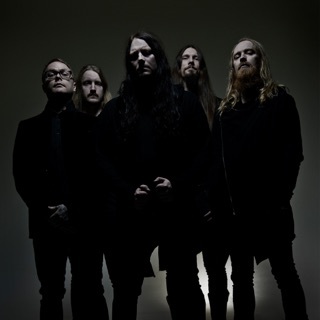 Following in the footsteps of the Gathering and Lacuna Coil (goth-influenced "symphonic" metal bands with female vocalists), Nightwish were formed in Kitee, Finland, in 1997 by keyboardist Tuomas Holopainen. Initially attempting to create acoustic music, he recruited trained opera vocalist Tarja Turunen, but soon added full metal band instrumentation in the persons of guitarist Emppo Vuorinen, bassist Sami Vänskä, and drummer Jukka Nevalainen. Nightwish's demos landed them a contract with the Finnish label Spinefarm, which released their debut album, Angels Fall First, in late 1997 (it appeared in the rest of Europe the following year). The follow-up, Oceanborn, appeared in late 1998 and made Nightwish a bona fide mainstream success in their homeland; the album reached the Finnish Top Five and spun off three Top Ten singles. Nightwish toured Europe heavily, consolidating their success, and in 2000 recorded their third album, Wishmaster. Not only did it top the Finnish charts, but it also became the group's first album to be released in the U.S. (by Century Media, which reissued their previous albums in 2001 as well). Released in 2002, Century Child proved a massive hit in Finland and around Europe, but 2004's Once saw them go one step further and conquer Europe. Number one in Germany and number one in the European Top 100, Once's success was the product of a band at the top of its game following years of hard work. Marco Hietala was now on bass, replacing Sami Vänskä, while in 2005 Swedish singer Anette Olzon replaced Tarja Turunen, who was fired for personal reasons. Dark Passion Play (2007) and the concept album Imaginaerum (2011) both featured Olzon before she and the band parted ways in 2012, halfway through the band's world tour. At short notice, ex-After Forever frontwoman Floor Jansen stepped in to take over on lead vocal duties; the immense pressures on her were later revealed in the behind-the-scenes film Please Learn the Setlist in 48 Hours. Jansen's powerful voice was a perfect fit for Nightwish. She was embraced immediately by their passionate fans, and was soon made a permanent member, alongside English piper Troy Donockley. Nightwish's first commercial release with Jansen was 2013's live album Showtime, Storytime, which documented their triumphant show at that year's Wacken Open Air metal festival in front of an 85,000-strong crowd. 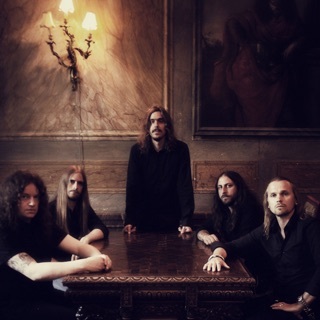 Endless Forms Most Beautiful, the group's eighth studio album and first with Jansen on board, followed in early 2015. The set placed on no less than ten different charts including the Top 200 (number 34) and hard rock charts (number two). The set was supported by a lavish multimedia touring extravaganza over the following 18 months. Two concerts at Wembley Stadium (which featured an on-stage appearance from scientist Richard Dawkins) and Ratina Stadion in Finland were produced as a deluxe two-disc video package titled Vehicle of Spirit, issued in December 2016. A separate audio soundtrack was also released.